Monitor locked and long running queries in real-time. 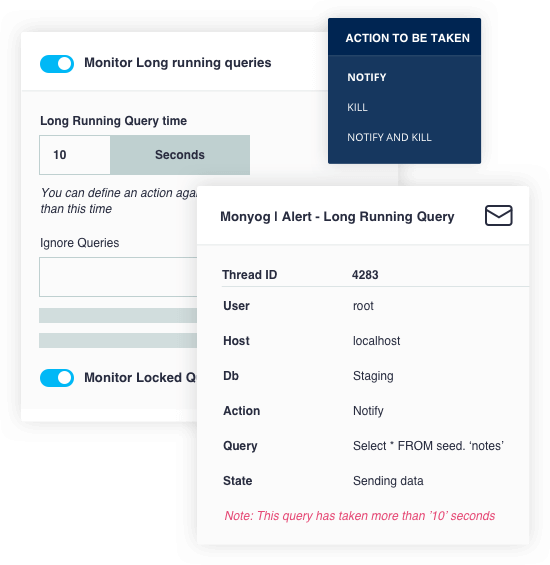 Get notifications on mail or SNMP traps, Syslog, Slack and Pagerduty for queries that take more than a specified amount of time to execute. You also have the option to configure SQL DM for MySQL to kill, notify or notify & kill such queries. 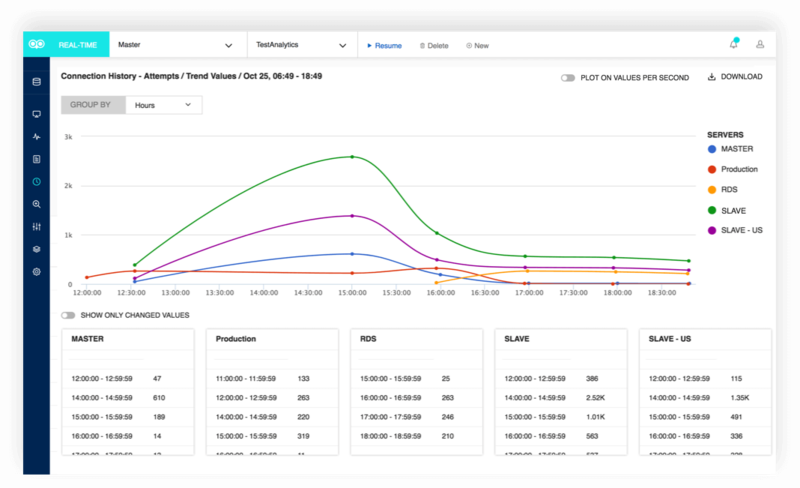 SQL Diagnostic Manager for MySQL helped us in optimizing and tracking mission critical data across 1700 customer sites and spread across 70 database servers. SQL Diagnostic Manager for MySQL is reasonable, it was easy to setup and it is very useful for effective monitoring. 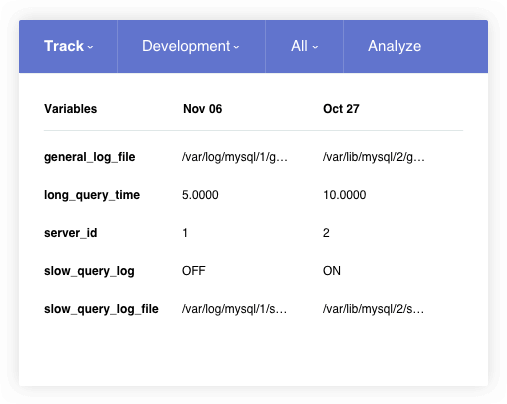 SQL Diagnostic Manager for MySQL helped us optimize MySQL server performance. SQL Diagnostic Manager for MySQL perfectly monitored our MariaDB Galera Cluster and indicated the cause of the issues through deadlock monitoring. 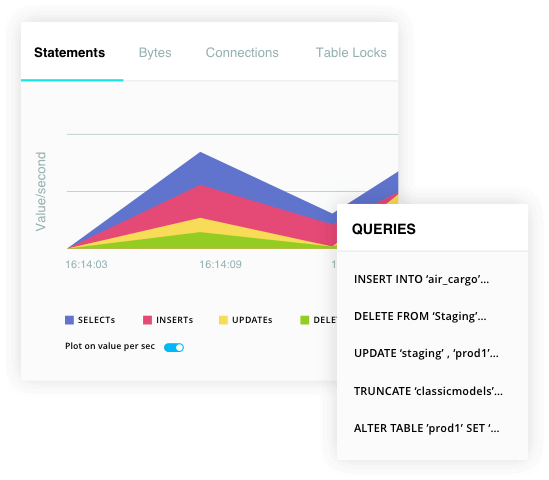 We opted for SQL Diagnostic Manager for MySQL for its simplicity, ease of config, and relatively affordable price-tag. 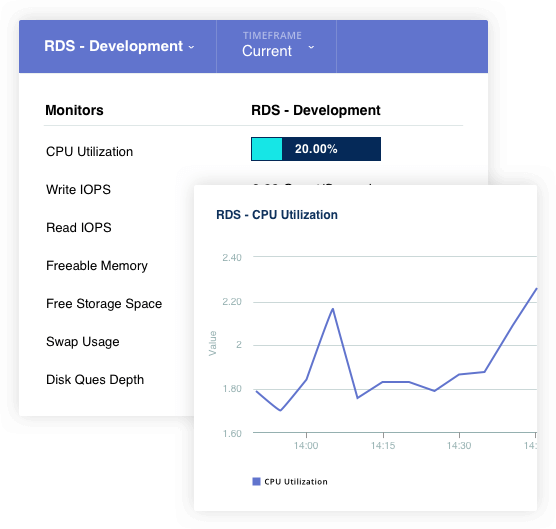 A complete MySQL monitoring system with early-warning mechanisms.